An alien lifeform has infiltrated a bleak and desolate Antarctic research station assimilating other organisms and then imitating them. 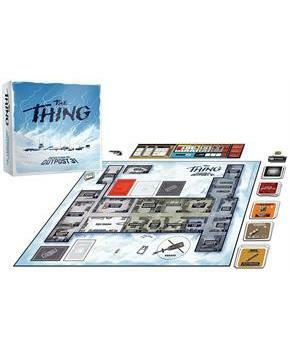 In the hidden identity game The Thing Infection at Outpost 31, you will relive John Carpenterâ€™s sci-fi cult classic in a race to discover who among the team has been infected by this heinous lifeform. 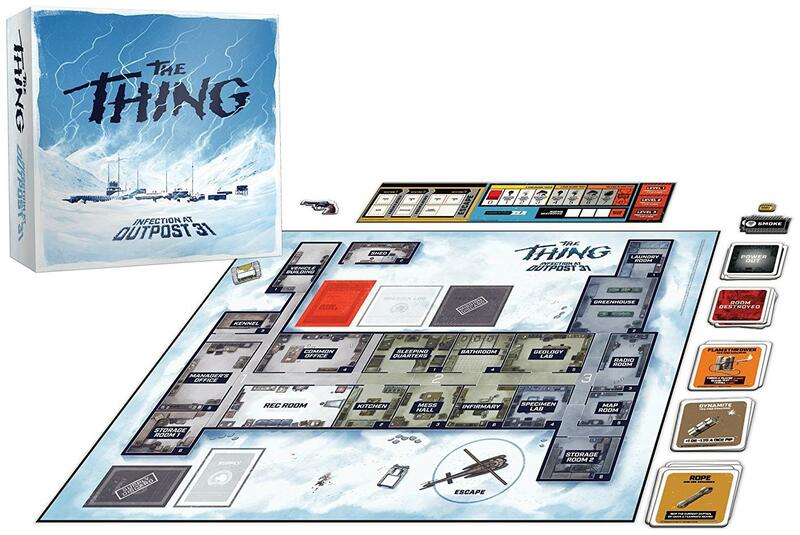 Play as one of 12 characters as you lead a series of investigations through the facility using supplies and equipment to clear the building. The tension mounts and paranoia ensues as you question who you can trust in the ultimate race to save humanity! Includes Game Board, Thing Meter, Room Tracker, 12 Player Boards, 2 Flame Thrower Chip Pieces, 2 Dynamite Chip Pieces, 18 Fire Chip Pieces, 18 Room Markers, First Player Chip Piece, and 12 Character Pieces. For 4-8 players.